I think about 99% of all Christmas treats are made from 99% sugar. 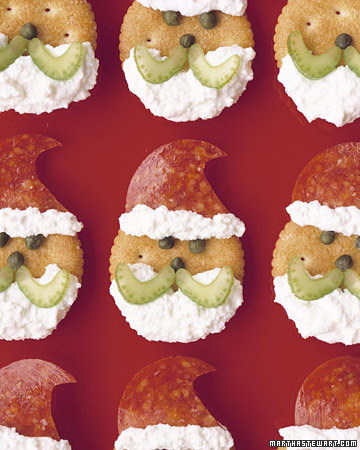 I love them all, but if you are looking for something fun and festive but not chocolate coated to serve this holiday, here are some healthier Christmas snack options, like these Santa snack crackers from Martha that are made with pepperoni, ricotta, celery, and capers. 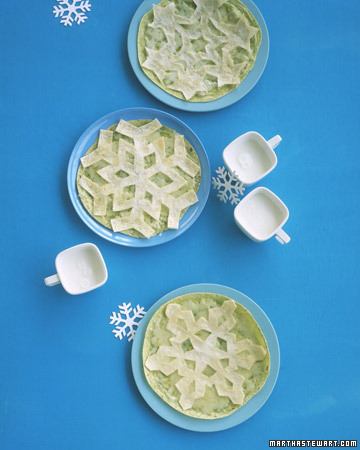 These snowflake quesadillas are from Martha too. Full size they make a fun lunch for kids, but you can also make a smaller size for a winter party appetizer. 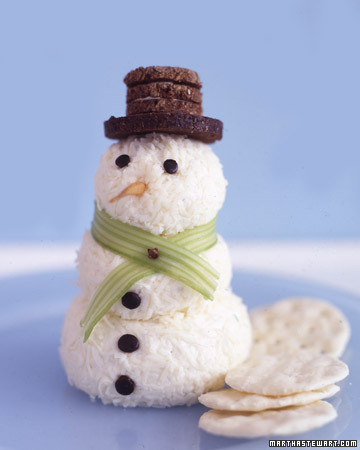 Some cottage cheese and veggies make for a cute healthy snowman snack like this one from Sugar and Spice. 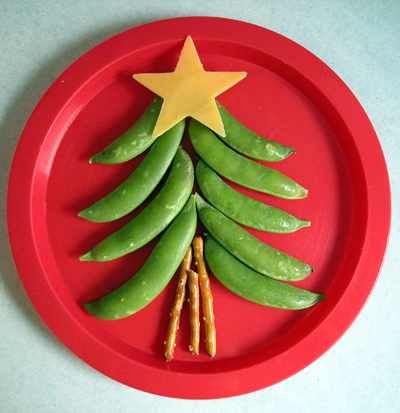 Little Nummies snap pea Christmas tree is an easy after school Christmas snack. And instead of cute donut snowmen, why not a cheese snowman to eat with crackers.